We did this back in December (fun candy science to go with Christmas), and we got a lot of crystals on the bottom too. I worried that maybe I put too much sugar in the water, but oh well, at least it turned out 🙂 Your candy looks good! 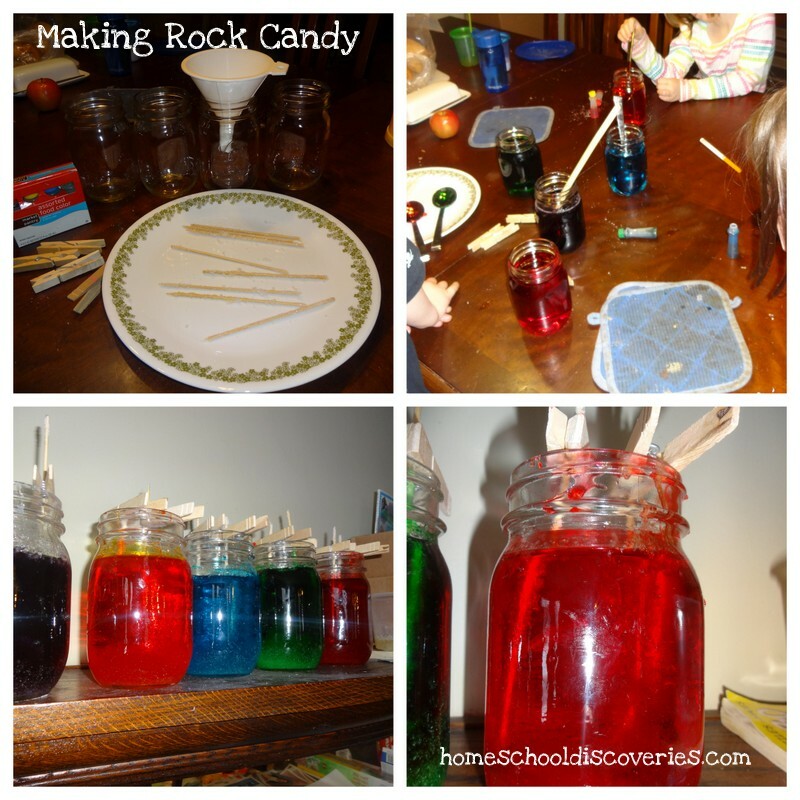 We are going to have to try this when we do our rocks and minerals study in a few weeks! 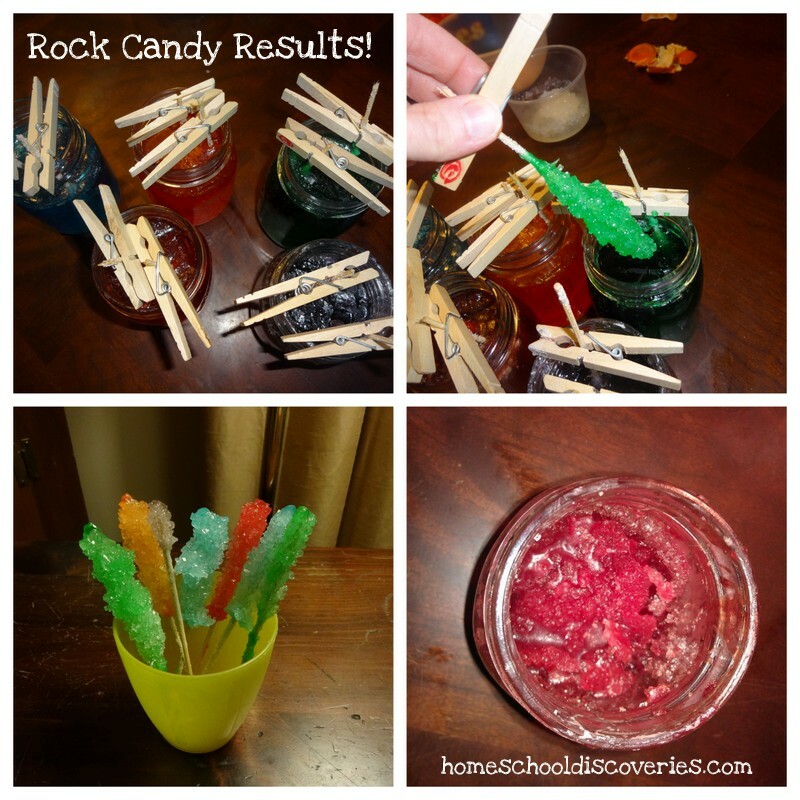 Everyone I’ve seen link up rock candy has commented that it’s incredibly hard to make, so you’re not the only one who’s flopped at it on your first try. Actually, most people just give up at that point and say “It didn’t work,” so I’m impressed you carried on.